Michael Kors have been campaigning to stop world hunger since 2013, when they launched their ‘Watch Hunger Stop’ movement. According to the Michael Kors website, they’ve helped the United Nations World Food Programme (WFP) deliver 15 million meals to children in need. Last year the brand celebrated five years of the campaign by teaming up with movie star Kate Hudson. There are many ways that people can donate — through the purchase of a timepiece, a Snapchat using a store geofilter or through posting a photo wearing a Watch Hunger Stop T-shirt. Each action donates a certain amount of money and corresponding meals to children in need — the programme supports 16 million children over 70 different countries. 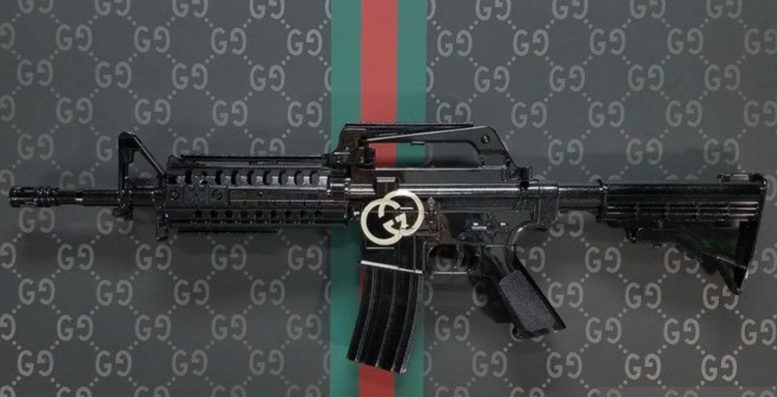 Gucci donated half a million dollars to support stricter gun control laws in 2018. The brand announced that it would be helping the cause following a tragic school shooting in February last year at Marjory Stoneman Douglas High School. It’s possible that Gucci’s generous donation was motivated by the death of Gucci salesman, Javier Jorge-Reyes, and injury of Gucci store manager, Leonel Melendez Jr — both caused by gun violence. Stella McCartney has built a reputation around supporting ethical and sustainable practices. 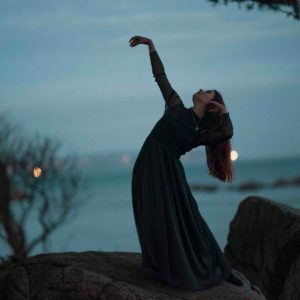 Using the latest in eco-friendly technology, she changes attitudes to sustainable fashion and demonstrates how eco-fashion can be done. The brand has avoided using fur or leather, instead opting for faux fur and newly designed materials. Take her latest swimwear range for example, in partnership with Adidas. The swimsuits are made from Lycra Xtra Lite fabric, which is resistant to chlorine and uses recycled Parley Ocean Plastic yarn. Stella announced her partnership with Colorifix in April 2018, she is working closely with them to reduce the environmental impact of the dyeing process. They do this through isolating the DNA that creates colour in nature and uses 10 times less water than the traditional process. 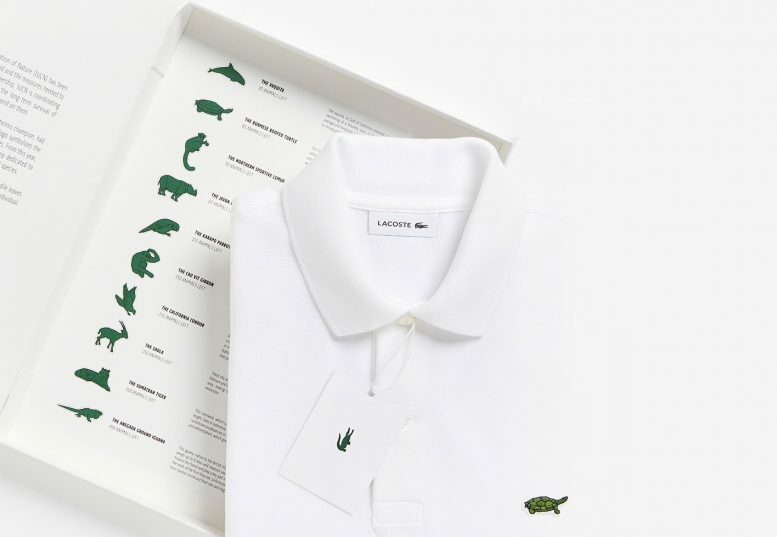 At the start of 2018, Lacoste put their support behind protecting endangered animals by launching the #LacosteSaveOurSpecies campaign.As part of this, they replaced their classic crocodile logo with images of endangered species on their classic polo shirts. The campaign was started to mark a three-year partnership between Lacoste and the International Union for Conservation of Nature — whose mission it is to conserve the integrity and diversity of nature. The fashion brand offered limited editions of each polo shirt in relation to how many of the species there were left in the wild. The new logos were designed using the same green colouring and style as the iconic crocodile. So, how did the brand select which animals to include in the campaign? The animals that were chosen were 10 of the most threatened species on the planet; the Vaquita, Burmese Turtle, Northern Sportive Lemur, Javan Rhino, Kakapo, Cao-vit Gibbon, California Condor, Saola, Sumatran Tiger and the Anegada Ground Iguana. The brand debuted the limited edition shirts at Paris Fashion Week, and unsurprisingly they sold out within minutes. The money from the shirts was donated towards the fight for wildlife conservation worldwide. Renowned suit and shirt retailers Charles Tyrwhitt have dedicated their support to The Prince’s Trust charity. This is a charity in the United Kingdom, founded in 1976 by Charles, Prince of Wales. It focuses on helping vulnerable people get their lives back on track and find work. The brand released a special collection of scarves, ties, umbrellas and of course their iconic shirts — all dedicated to raising funds for the charity. Where each item in the collection is sold, £5 is donated to The Prince’s Trust. The brand have a long history with the charity. Employees at Charles Tyrwhitt are also involved with raising money. In fact, business founder, Nick Wheeler, raised over 100,000 when he completed an 874-mile bike ride from Land’s End to John O’ Groats in the UK. And, members of the company attend and recruit individuals through The Prince’s Trust ‘Get Hired’ Days. This is where young people who have been through The Trust’s programmes have found themselves ready to move into work and are actively looking for work.